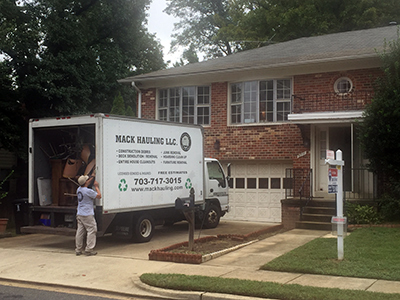 Mack Hauling crews are leading certified estate clean out specialists in VA, DC, and MD. We offer complete estate cleanout service understanding the sensitive nature of this task. Call or email for an estimate. Cleaning out an estate is often overwhelming, not only due to the magnitude of the job, but also given the need tends to be related to sensitive or difficult events, such as the death of a loved one or a foreclosure. We know the sensitivities. If the need is for a parent’s home, that is where your childhood memories reside. If for a spouse, even more memories and emotions are tied to the process. The need may also be to downsize due to a lifestyle change due to a divorce or to relocate to another state for a job change or any number of reasons. We know the challenges of clearing out a home that has been lived in for years. Household goods, furniture, appliances, and more can be especially challenging. 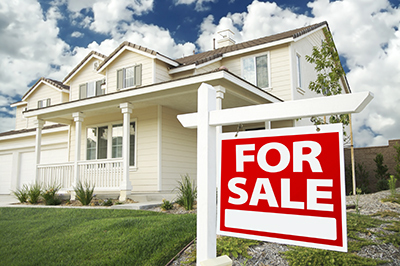 Selling the home cannot be accomplished until you clean out the estate and remove all the property. Doing this on your own is daunting emotionally and physically. With the unique estate clean out training and certification of Mack Hauling, we are confident we will be able to quickly, carefully, and sensitively, clear out the estate on your behalf. When the time comes to clean out an estate after moving on to a new home, a new business or with the purpose of utilizing the space, or due to the departure of a beloved person and even assisting a relative escape his or her hoarding addictive habit, we can help. Why expert intervention is important? An individual or family with no experience on appropriate and strategic junk removal runs many risks. In the haste and anxiety for a quick result, many valuable things may be inadvertently disposed or left behind. Another important consideration may be the removal of junk that has rotted or is quite dusty or even moldy and may cause respiratory and other imminent health problems if not done properly. The attempt to remove clutter with bare hands or other non-practical ways, without using the necessary equipment is a critical factor to cause many infections, some of which can cause grief to the owners and their families for a long time. Our team of trained specialists will take any items you no longer wish to have in the home so you can get it ready to sell or keep it in your family. 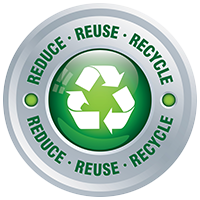 We try to donate Items in good used condition to local organizations and people in need. Through it all you can be assured Mack Hauling will provide the highest level of thoughtful estate cleanout services. Mack Hauling is an ASEL certified Estate Liquidator in the DMV area. Please call or email us to schedule your estimate for service.